When carried out by highly trained professionals, like chartered physiotherapists Sarah and Claire, Cosmetic acupuncture has been shown to be very effective in the vast majority of cases. In fact, up to 9 out of 10 people experienced noticeable improvements after just one treatment. 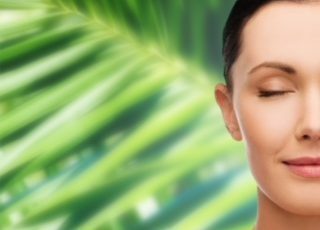 One of the key benefits of the treatment is that it helps to reduce the appearance of fine lines and wrinkles. It can also reduce the appearance of dark circles under the eyes and improve circulation to your skin. Areas of the skin that are treated with cosmetic acupuncture can benefit from the collagen and elastin in the skin being increased to improve the overall complexion and tone of your skin and decrease the appearance of fine lines and wrinkles. On top of all of these impressive results, you’ll be left feeling relaxed and de-stressed, ensuring you walk out of our clinic feeling better than ever. Before your treatment, you’ll have a full assessment with one of our practitioners so that we can fully understand your lifestyle, your problem areas and your expectations. During this assessment you’ll be able to ask questions about the process and find out exactly what to expect from the treatments. In order to boost the collagen in your skin to help erase those age appearing wrinkles, we place very fine needles into the targeted area. If you’re targeting fine lines and wrinkles, we’ll focus on selected positions in order to have maximum impact on the look and feel of your skin. Once in place, the needles will be left in for as long as necessary before being gently removed by a practitioner. Your treatment will finish with a gentle facial massage. As well as being relaxing, this will help to boost circulation in your skin and leave you feeling fresh and pampered. 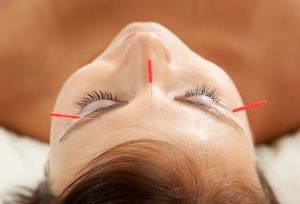 Treatments can be one offs or you can book regular cosmetic acupuncture appointments with a member of our team to ensure your skin continues to look as good as possible. If you’d like to find out more about the benefits of cosmetic acupuncture, or if you’d like more information on any of the services we offer, take a look around our site today.